Learning Library / Funding / Sales Process / Just Ask. Just Ask. Just Ask. 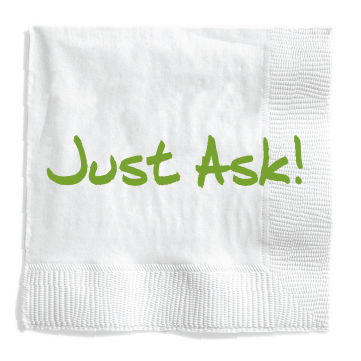 Just Ask is the ACTION part of the For Impact Point of View. Through The Suddes Group, we’ve raised a $1B. A big reason for this – WE ASKED. …when you know exactly what to ask for. …after you’ve visited with the prospect nine times. …when you’re entire board is on board. …when those butterflies in your stomach are finally gone. …when you have the perfect message. …when you have the perfect materials. Timing will never be perfect. The only way you’ll know what to ask for is by asking (and getting a response). Cultivation is for people who can’t communicate. You are in the business of saving, changing, and impacting lives; if you’re with someone who wants to do just that, you can ask on the first visit. We still feel like we want to puke before a big ask. The only way to truly test a message is to ask. You don’t need perfect materials – You need a tool to help you engage in a conversation. Just Ask is all about action. It’s permission to move. Nothing happens until you ask! Until you ask, (one-on-one) the message is not personal.Until you ask, people don’t know how they can help. Until you ask, the prospect doesn’t guide you through what else is needed (from the you, from the org or from the plan) to make a commitment. Until you ask, a prospect can’t say YES! This is 90% of everything you need to know about raising money.